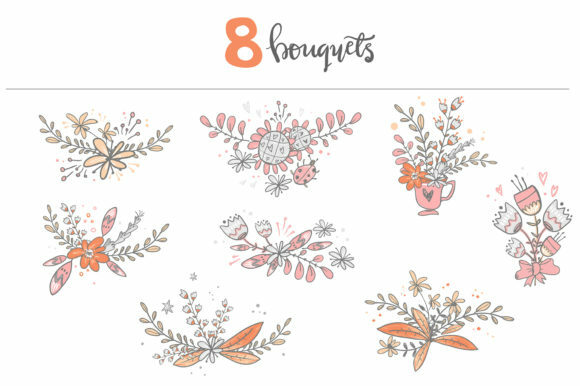 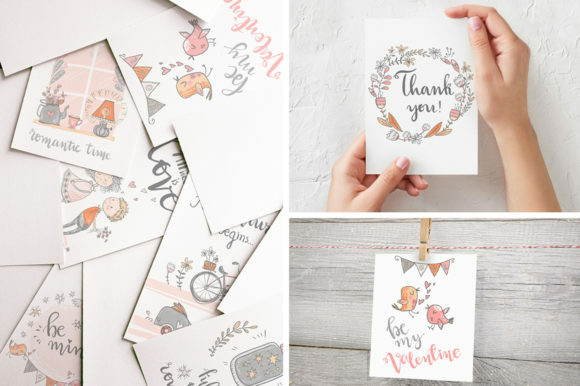 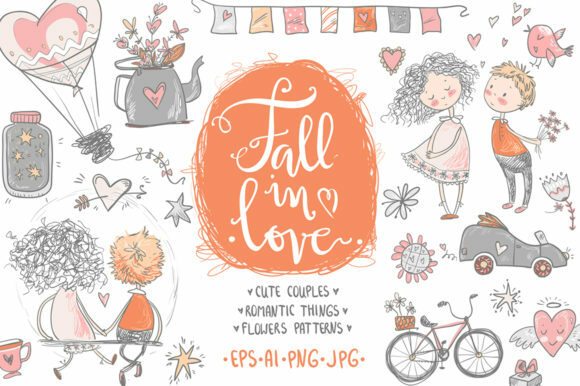 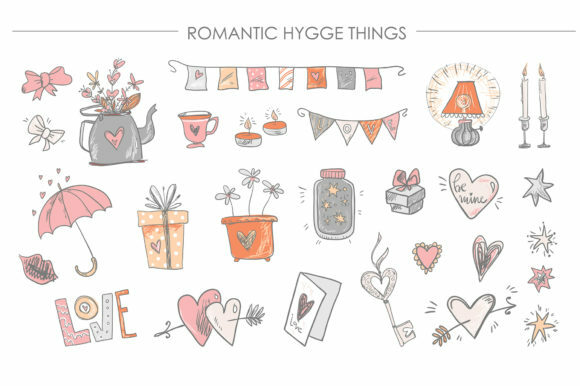 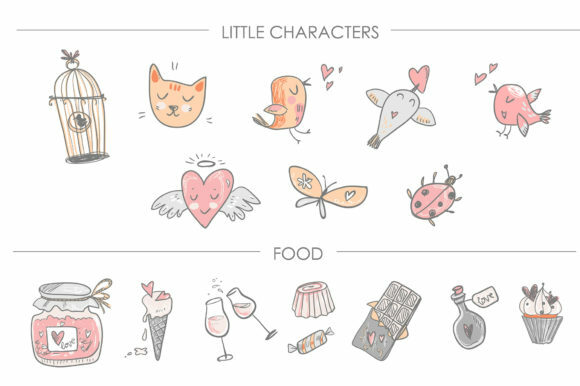 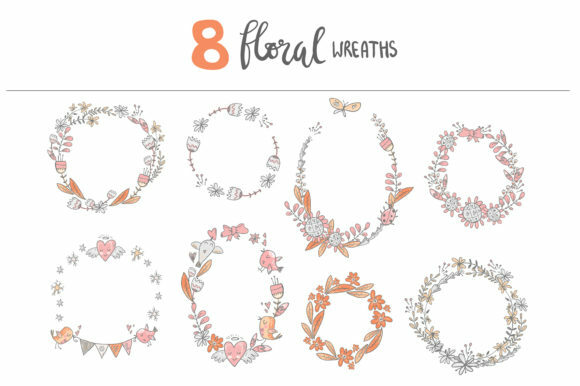 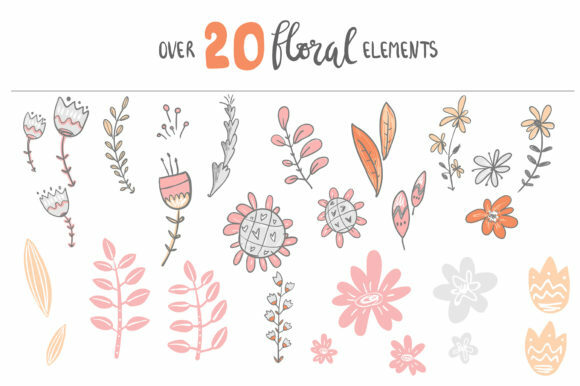 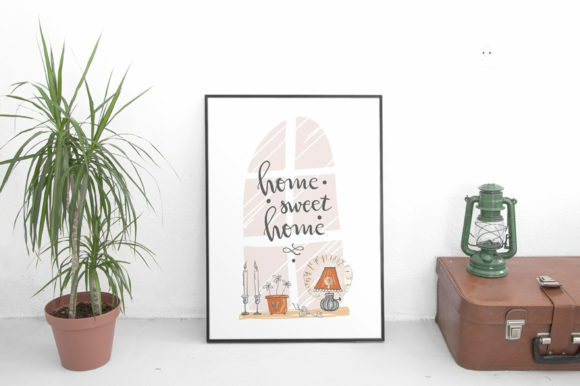 Romantic graphic kit is a collection of illustrations, patterns and pre-made cards, wreathes and decorations. 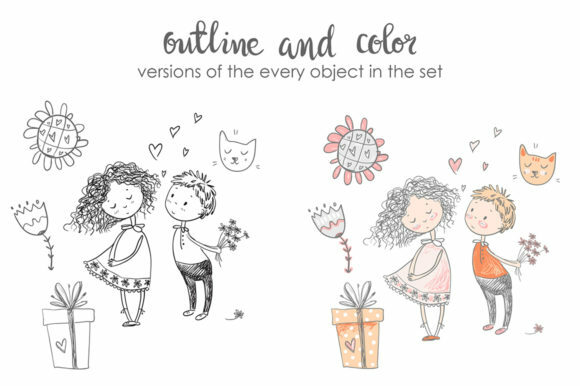 It’ll be useful for wedding or Valentine’s day polygraphy and design, scrapbooking and textile design. 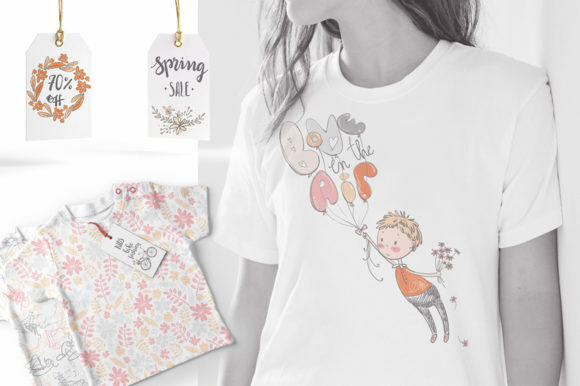 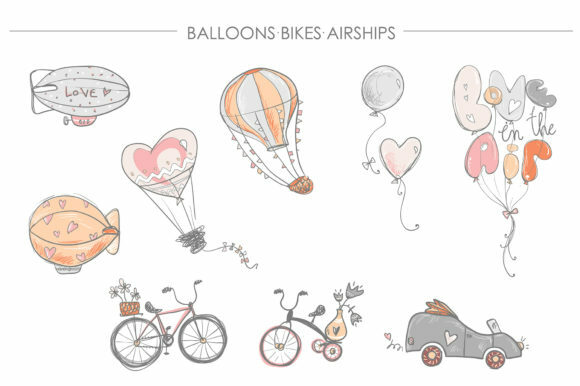 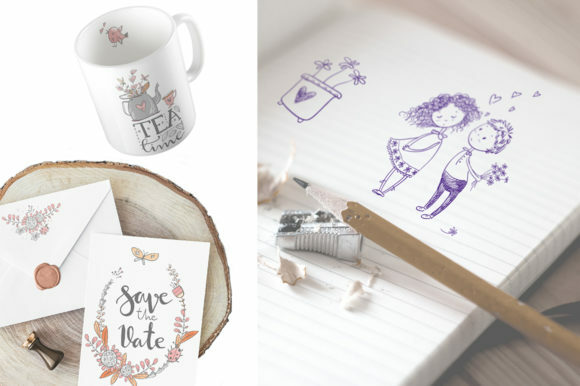 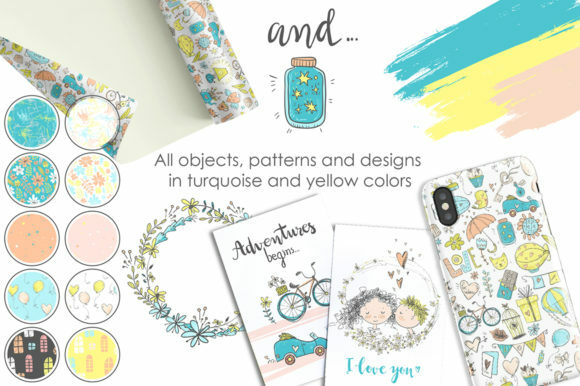 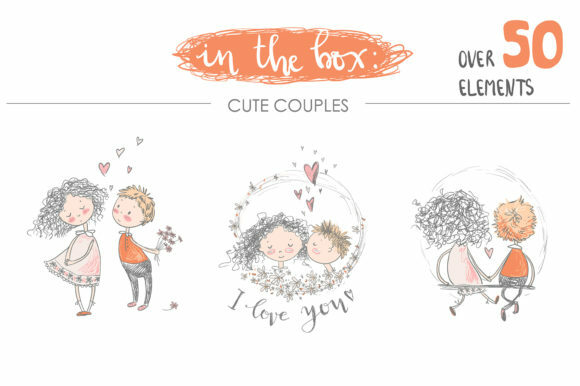 You’ll can create your own product packaging, greeting cards, apparel designs in cute sketchy romantic style. 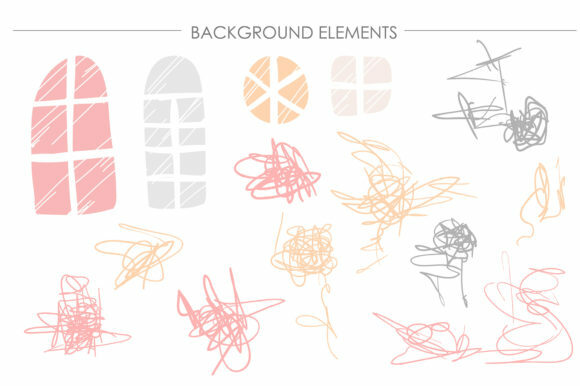 All PNG files come with transparent backgrounds, elements are saved in separated files, sizes vary, but most of them are 8333×8333 px, 300 DPI. 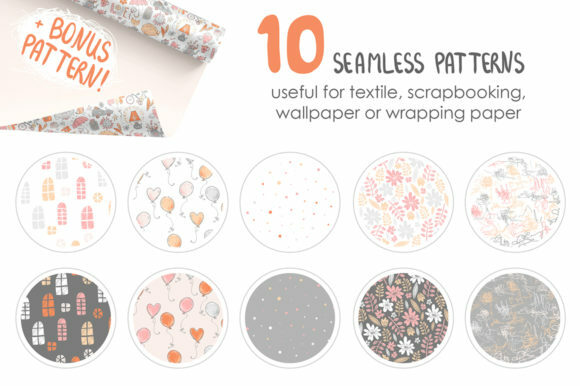 Patterns JPG size is 5000×5000 px.